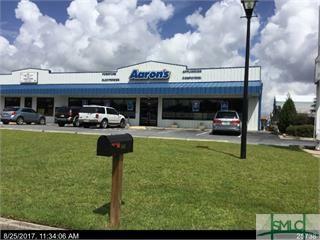 1500 square feet (30'x50') of commercial/retail space in this very fast growing part of Rincon. No triple net. Tenant responsible for maintenance of space. Up to 6 parking spots, some overflow allowed. Lighted signage available to advertise your business. Available now. Listing courtesy of Dawn Phaneuf of Tricounty Real Estate. © 2019 Savannah Multi-List Corporation. All rights reserved.